"President Obama will push General Motors into bankruptcy protection on Monday, making a risky bet that by temporarily nationalizing the onetime icon of American capitalism, he can save at least a diminished automaker that is competitive," reports The New York Times. 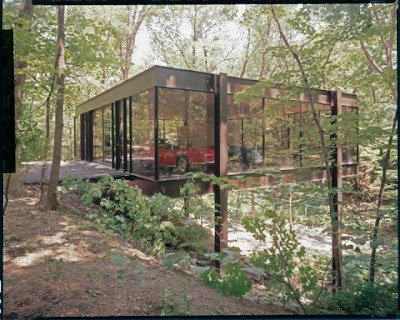 The house featured in Ferris Bueller's Day Off, including the iconic car scene, is for sale in Highland Park, Illinois. If you were a Flint kid in the eighties, this is your chance to finally fulfill some of your high school pop-culture fantasies, provided you have $2.3 million. Andy Turpen and Jim Holbel of The Gifted Program offer up a little musical ode to junior high life in early '80s Flint called Genesee Belle. Early Thursday, G.M. proposed a deal in which bondholders would receive up to a 25 percent stake — a bigger share than G.M. offered the autoworkers union — if they do not oppose its bankruptcy reorganization, and then said that a group representing many of the largest bondholders had accepted the offer. The proposal came as administration officials and G.M. 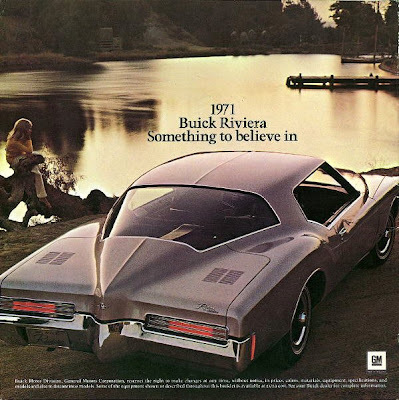 began to discuss how the carmaker would look once it emerged from a court reorganization. The company is expected to seek bankruptcy protection by Monday, the deadline set by the Obama administration to restructure outside bankruptcy. 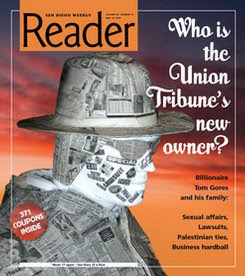 Flint legend Tom Joubran is the subject of an exhaustive profile in the San Diego Reader. “The thing about Mr. Joubran is that he’s basically brought so many of his relatives and family members here,” notes Shriner, the former Flint Journal reporter who covered Joubran and his run-ins with the law during the 1980s and 1990s. “Just dozens and dozens of people he’s brought here over the years. “He’s been an interesting character for a long time, I’ll give him that,” Shriner continues. “He came here, had like $25 to his name, couldn’t speak a word of English, did the immigrant thing — worked hard and eventually bought his own grocery store and kind of grew things from there. “He’s owned several bars, but the big one that everybody remembers him for was the Mikatam,” says Shriner. “It was named after his son Michael, his daughter Kathy, and his youngest daughter Tammy: Mi-Ka-Tam. “That was a huge bar, and he did business like nobody else. Frankly, what he did, I thought, was brilliant. 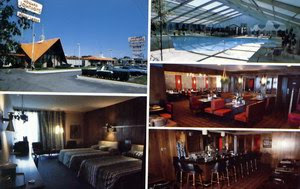 What he would do was that he would charge a $10 cover charge, and this place would hold 5000 people. He told me he could easily get 3000 to 5000 people in there without a problem. Now, it was packed, mind you, but he would do it if he could, and he frequently did." He has endured decades of controversy: In 1980, during testimony before a United States Senate subcommittee, the executive director of the Saginaw Valley Crime Commission listed him as a “person of interest,” purportedly involved in “organized criminal activities” in the Flint, Michigan area. His nemesis was Genesee County prosecutor Arthur Busch, who grew up in a blue-collar household near Flint and counts among his high school friends Michael Moore, the film director who began his career publishing the Flint Voice, an alternative newspaper. “As far as I’m concerned, he’s a gangster, and I don’t care if you print it,” Busch, now in private law practice, said of Joubran during a recent telephone interview. 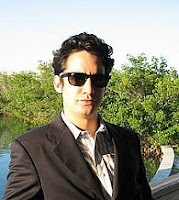 Over the years, Busch accused Joubran of a litany of crimes. One case involved a charge of felonious assault brought by Busch against Joubran in 1995. It was described in a November 2003 Michigan Court of Appeals document. Overall, it's a comprehensive piece that's worth reading in full here. "Only in architecture do we contemplate, and frequently carry out, the destruction of works by the discipline's most esteemed proponents. In other fields, every single thing an artist ever did is worthy of preservation, regardless of quality. If someone found a demo tape of Jimi Hendrix trying to tune up for three hours, it'd be worth a fortune. Or if you found out a rubbish doodle on the back of an old fag packet was actually by Picasso, you wouldn't think of throwing it away, would you? And then there's movie memorabilia: William Shatner sold his kidney stone for £14,000." "That's the trouble with architecture. You can store a tape or a picture – even a kidney stone – pretty easily. But buildings take up valuable space. They often prevent the existence of other newer, better buildings. A war or an earthquake or a revolution is good news: architecture thrives on its own destruction." Dana Hedgpeth of The Washington Post has a nice profile of Ed Montgomery, who is Obama's "point man to help auto workers and communities that depend" on the car industry. "Montgomery, whose wife is the granddaughter of a General Motors worker from Portland, Mich., lives in Howard County and drives a 2000 Lincoln. He used to drive his 1990 Harley-Davidson motorcycle to College Park. He's broad-shouldered and wears black-framed glasses that make him look like the college professor he was. "Montgomery has written extensively on labor unions, unemployment and other economic trends. He is careful to point out that textbooks often give examples of how things should work on average, but that the solutions may not work for every city. Health care jobs may thrive in one town, for example, while manufacturing parts for wind turbines may be a better fit in another. "'This is a bottom-up effort,' Montgomery recently told a group of politicians, community leaders and auto workers at a community college in Flint. 'This is not Washington talking to Flint. This is Flint talking to Washington.'" The UAW and GM have reached a tentative agreement to cut costs and restructure payments to the healthcare fund, but a lot more needs to happen for the automaker to avoid bankruptcy. The U.A.W. did not release details of the deal, which is subject to ratification by G.M. workers. The agreement is expected to be similar to one reached last month with Chrysler, which allowed that automaker to substitute equity for up to half of the $10 billion owed to its retiree health care fund. G.M. owes about twice that amount to the fund for its workers. The deal is one of the government’s requirements for G.M. to win more loans but is not enough in itself to keep the carmaker from having to file for bankruptcy protection on June 1, the government’s deadline. More important, G.M. needs to persuade nearly all of the bondholders who hold more than $27 billion of its debt to swap their claims for stock in the restructured company. Most analysts expect the offer to fail. President Obama plans to close Gitmo in Cuba, and Senator Carl Levin says relocation of the potential terrorists to Michigan might help the local economy. Why not Flint? "Most lawmakers view the prospect of moving prisoners from Guantánamo Bay, Cuba, to their districts as a negative proposition. But at least one Democratic senator is open to the idea as a potential economic boost to his struggling state. "Carl Levin , chairman of the Armed Services Committee, said that construction and staffing at a new maximum-security prison in Michigan could help his cash-starved state. “'If the governor and the local officials are open to it, that’s something that should be considered,' said Levin, making the point that each state should make its own determination." 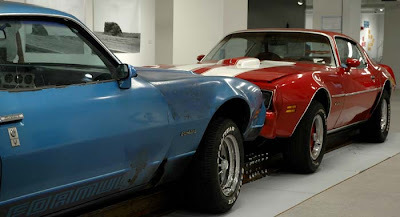 This sculpture is a machine that advances two full sized automobiles slowly into one another over a period of 6 days, simulating a head on automobile collision. Each car moves about three feet into the other. The movement is so slow as to be invisible. It is almost impossible to watch a modern action film without at least one automobile wreck. Why do we find interest and excitement it new versions of the same event? Why are we not satisfied? Cars are extensions of our body and our ego. We buy or modify cars that reflect our personalities and egos. When we see an automobile destroyed, in a way we are looking at our own inevitable death. This moment is, because of its inherent speed, almost invisible. We have slowed the event via film and video but only from a camera's perspective. We never get to see the transformation of living breathing car too wreck in its entirety, in detail. This piece offers the viewer the ability to examine in three dimensions the collision of these cars. A moment that might take a fraction of a second in an actual collision will be expanded to take days. Car wrecks are spectacular moments. This piece by changing one of the key variables removes and changes the nature of the event. What was life threatening is now rendered safe. What was supremely spectacular is now almost static. The wreck has been broken down to its Newtonian components. We are left to contemplate our own mortality our own Newtonian components. 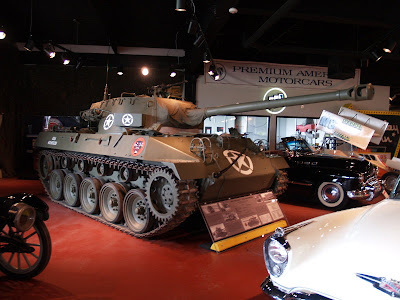 If only the cars had engines and a full tank of gas so there was at least the possibility of an explosion, but liability issues probably trump art when it comes to lethal explosions in a museum. Thanks to Michael G. for finding this item. 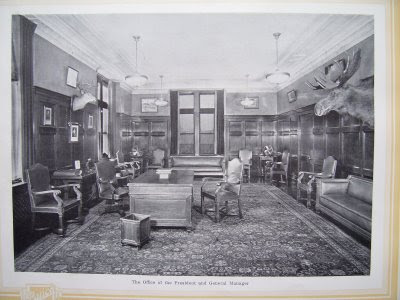 I lived in an apartment which at one time was the servant's quarters above the garage of the ivy covered brick house on the corner of Detroit and Stockdale. 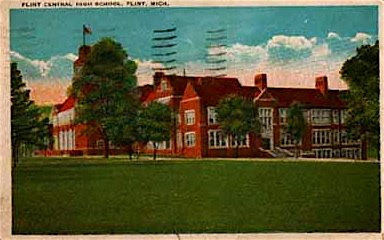 This was fall 1969 when I was a student at Flint Jr. College (now Mott). One of my most vivid recollections of this time is having two cops pull their guns on me at this corner. This was, to say the least, a frightening experience, intensified by the general feeling amongst my contemporaries that the police were somewhat "on edge" at the time. If anyone remembers, they sported riot helmets as part of their standard uniform of the day. As my roommate turned off of Detroit onto Stockdale, the cops flashed their lights to pull us over. Since we were right at our usual parking spot, we pulled up to the curb and both got out of the car. This turned out to be one of the dumbest moves of the century. FREEZE!!! We suddenly look and both cops are tucked behind open doors with guns drawn and aimed at us just like on TV. My roommate dropped the bag of groceries he was holding as his hands went up and he yelled "don't shoot". The cops ended up being somewhat apologetic about the whole thing and strongly cautioned us to never hop out of a car like that when pulled over. They interpreted this as aggressive behavior, even from a couple of long-haired youngsters holding grocery bags. This dude finds Flint depressing. "With the passing of Waylon Jennings, and so many country heroes, fans will be hard pressed to find some true outlaws nowadays, but I’ve come to find Michigan still has a few. Just head up I-75 and you can’t miss them. 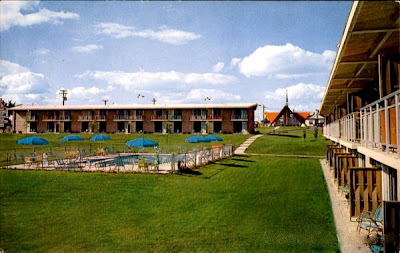 Once you hear the first track of Honky Tonks and Cheap Motels you’ll understand what I mean. Whitey Morgan and the 78’s hailing from the cold and bitter streets of Flint, Michigan recently released their first full length album. This isn’t your modern day pop-country ensemble. In fact they are far from that. 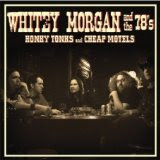 "Whitey Morgan, lead singer, is backed by an astounding group of musicians: Jeremy 'Leroy' Blitz and Benny James on guitar, as well Jeremy Mackinder on bass and Mike 'Pops' Popovich on the drums. Get these boys together and they are sure to bring out the inner honky-tonker in us all." According to the U.S. Census Bureau, the Genesee County population dropped to 428,790 in 2008 from 437,445 in 2006. That's not a big shock, but the racial disparity in the expatriates is unusual: "The county lost nearly 7 percent of its black community, but less than 1 percent of its white population between 2000 and 2008," reports Beata Mostafavi of The Flint Journal. Talk about the long-lasting impact of a Catholic education in Flint...I just noticed that on my long-running post that begs for money, I inadvertently asked readers for a "Papal donation" instead of a Paypal donation. 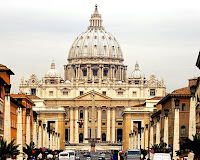 I went in and changed it, but I wanted to assure everyone that any donations go straight to me for expenses, not the Vatican, which has a much more sophisticated fundraising apparatus. It's also a reminder that I need the divine intervention of a copy editor. Just a little update from the old hometown. 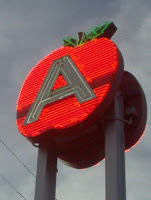 Yes, Applegate Chevrolet will remain in business. 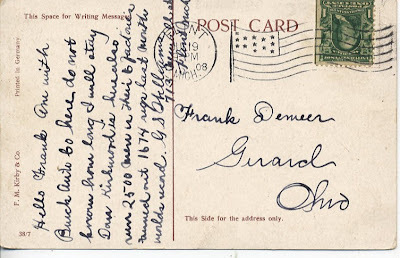 We did not receive one of the doomsday letters. Of course there were a few tense moments but that didn't really occur until the 24 hrs leading up to the announcement. We got word around noon Friday that we weren't getting a letter and that we needed to order some cars. 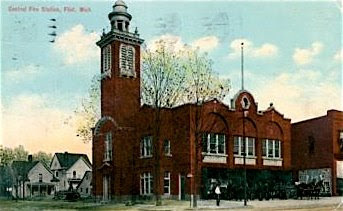 Applegate Chevrolet was started in 1928 by Clyde Applegate and was downtown near where the current City Hall is. The present owner Jim Applegate was born the same year his father started the dealership. 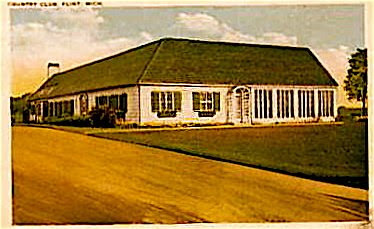 In 1950 Clyde felt that the dealership needed to expand and began construction on the present site which was opened in 1952. 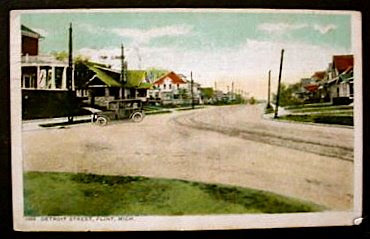 Many of the local businessmen warned Clyde that he was taking a risky venture by moving so far out of town all the way down to Atherton Road and Saginaw Street. They felt he was too far away from the city. We remain the only GM dealership in the city limits of Flint. Isn't it ironic that the birthplace of General Motors has only one dealership? The employees of the dealership for the most part felt confident that our performance and Mr. Applegate's integrity and straight forward way of doing business would sustain the storm and survive the cut. Some felt that our location would be a hindrance to our longevity....perhaps it worked in our favor...who really knows...it's impossible to second guess or try to predict GM's thinking. Remaining in business is not only a victory for Mr. Applegate and his employees but also a victory for Flint. I feel that is the untold story. How strange would it be for Flint not to have a GM dealership? I think all of my associates will agree that we are relieved and proud to be able to continue to serve the residents of Flint and surrounding areas with their vehicle needs in the vehicle city. 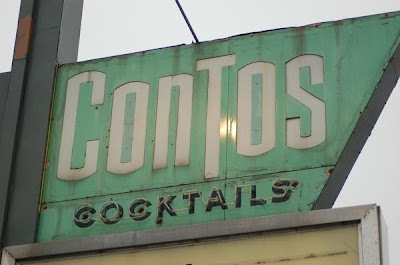 I felt like I got punched in the gut when I read that Central was closing. As a part of the magnet program, I spent half my day in high school there. That's where my friends were and my favorite teachers. That's where we used to go exploring in the old wing after hours. 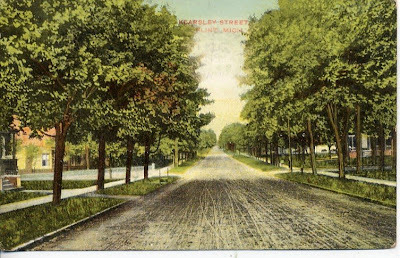 But, aside from my personal memories, my mom went there, my grandma went there (in the '20s). It's a part of Flint's history and I'm afraid it's just going to become more urban decay. 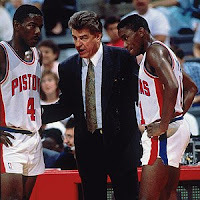 Chuck Daly, who led the Detroit Pistons to two NBA titles and is often described as "the good guy behind the Bad Boys," died on Saturday. And former Pistons star Dave Bing becomes the mayor of Detroit today. That's where my 66 Chevy was built. This is one of the rare buildings still standing (on Van Slyke Rd.) in Flint. 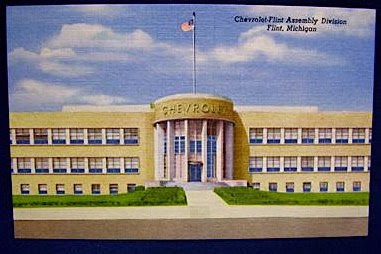 The first Corvette (1953) was assembled here. 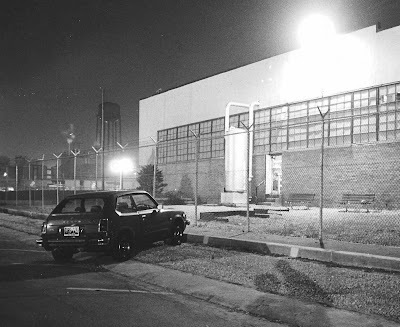 The last Chevy passenger car built in flint at this location was June 24, 1970. It was a Monte Carlo. In the early eighties Buick built the full size Impala & Caprice for one year, along side the Buicks. Here's the link to my Chevy www.myspace.com/gerrygodin. Let's enjoy it while we can...Tigers in first place in the AL Central after a sweep of the Indians. 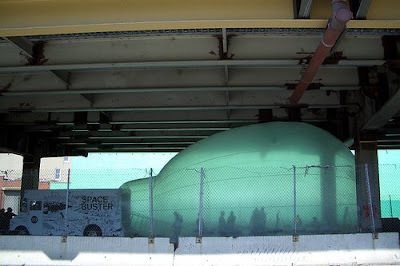 The German architecture firm Raumlabor brings Spacebuster to NYC. I know Flint has enough real worries without having to deal with hypothetical problems. 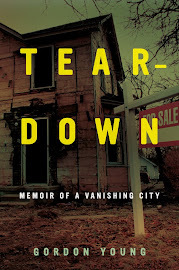 But what happens if the city, in its zeal to downsize, overdoes it? Then, when the Flint economy finally blossoms, we'll be left with a housing shortage. 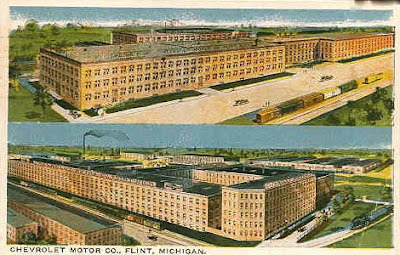 (Let's not speculate on what will prompt Flint's economic miracle; I'm not that much of a visionary.) People from the southwest might flood Flint when their water supply dries up, along with their jobs. If that ever happens, inflatable buildings may be the answer. A Daily Dose of Architecture has a nice overview of bulbous inflatable structures that bring back memories of John Travolta's 1976 made-for-TV classic The Boy in the Plastic Bubble. At least we have one of the potential problems of an economic boom solved. Thanks to Randy Gearhart, again, for the video. "Dayne Walling won big in a six-way primary race to be Flint's next mayor. 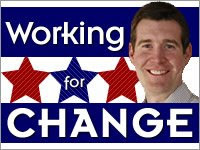 "Walling got 44 percent of the vote, securing a spot on the August ballot. "Walling will face Genesee County Commissioner Brenda Clack, who held off a late rally by former city administrator Darryl Buchanan for second place. "Clack won 16.2 percent of the vote, beating Buchanan by 14 votes. "He vowed to strengthen his campaign through the August general election. "'We need to build a bigger and better coalition,' he said. "That's what I'll be doing every day." A few miles away, Brenda Clack held her right hand over her heart as the final results came streaming in to show she eked out a primary victory by a mere 14 votes. Most local school districts are slashing their budgets this year, but none more so than the Flint School District which is closing schools to deal with a projected $19-million deficit. Just weeks after declaring a fiscal crisis in November, five school board members and the superintendent went on the five-day trip to Atlanta that cost more than $9,000 to attend the National Association of Black School Educators conference. Flint school board President Vera Perry said members of the board travel to conferences out of state to gain insight on and meet with officials at urban districts similar to Flint. As for in-state expenses for board certification classes, Perry said those are extremely valuable. "That's to improve the board," she said. "Those are educational classes." She said she does not think five board members is too many to send to an out-of-state conference. The district also receives grant funding for some travel. "You want the board to be as educated as possible," she said. 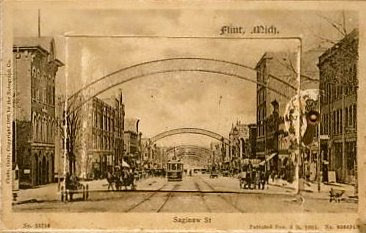 Flint Expatriate Sarah Jane is blogging at seagardensandglass.